A New Dawn Coaching is a training service to support you in your efforts to rise and shine! Whether as a beginner or a seasoned athlete looking to improve your times I am here to empower you to achieve your goals. Recognizing that each individual is unique, training plans are customized to fit your personal needs and ambitions. As a coach I am here to guide you through all the components of being a successful athlete, from nutrition and work-life balance to physical and mental fitness. 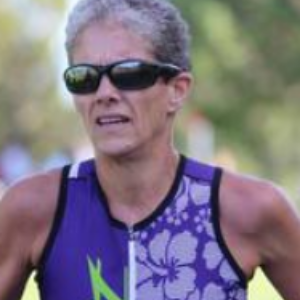 I was introduced to multi-sport over a decade ago and have had lots of fun as an age group athlete competing in sprint and standard distance triathlons and duathlons. I also compete in running events from 5K's to marathons. After accomplishing many podium wins, World Qualifier and Team USA member, and a Boston Marathon Qualifying time I became dedicated to sharing my passion by becoming a coach to help others achieve their dreams. I am a USAT Level I and Youth and Junior Certified Triathlon Coach and have additional training as a Life Coach and in Mindfulness. I believe in training the whole person to be strong, to have fun, and to remain injury free. As a mother of four I understand the challenges of time management and have worked to find creative solutions. I volunteer my time as a triathlon coach for high school students to introduce them to the sport and help them develop their skills. Come with a can do attitude! Success. Coach Dawn Marshall has been notified of your message.